MakerBot Retail Store @ New York City – #3DxRetail #3DThursday #3DPrinting « Adafruit Industries – Makers, hackers, artists, designers and engineers! 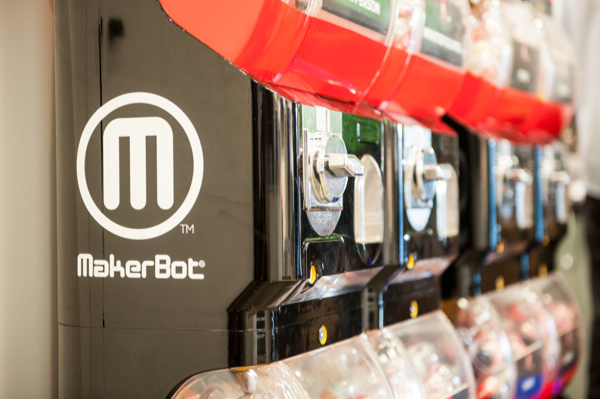 One of the very first to launch a retail store and now with locations in Greenwich and Boston, the MakerBot Retail Store is one of the first that comes to mind when people are wondering what a 3D printer store looks like. Check out the video from a visit from Tested.com above for a chance to see how the store looked and functioned when it first launched — with the amazing MakerBot Marble Run that people still talk about today, created by Adam Fontenault and Chris Boynton (video below of them installing it in the space)! Come visit one of our retail locations to get the full MakerBot experience. You can watch MakerBot Replicator Desktop 3D Printers make new objects; see the MakerBot Digitizer Desktop 3D Scanner turn objects into 3D models; attend fascinating classes and workshops; buy cool 3D printed gifts; and even purchase a MakerBot Replicator 3D Printer on the spot!